The plan is simple now for Louisville Football. The National Championship talk will keep going for fans. The lure of Pasadena will continue to excite players. But after Thursday night Louisville’s hopes of getting there may be all but dashed. It’s not fair. It’s actually one of the most cruel injustices in College Football. A team can win, defeat a Top 25-Caliber in Rutgers by a score of 24-10 and it still can be discounted by the National pollsters and computers. But that’s the reality. “The stage was set,” WR Damian Copeland explained. For a good duration of the game, it appeared, that Louisville was going to make that ‘statement’ that they needed so desperately to deliver. 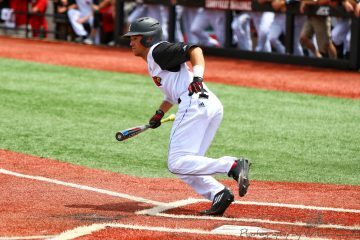 Louisville raced out to a 17-0 lead and was dominating the Scarlet Knights in each facet of the game. The Louisville Defense that held the rampant Rutgers offense to 240 yards, four forced turnovers got the memo; the offense instead forgot to check for it. While Louisville’s Defense delivered the verdict of National Championship contender, Louisville’s Offense declined. Whether it was suspect play-calling by Offensive Coordinator Shawn Watson or Louisville being without their best offensive target in WR Devante Parker; Louisville and QB Teddy Bridgewater were held only to 7 points in the second half. It could have been much different from the onset. When Louisville jumped out to a 17-0 lead, 4 minutes away from heading to the locker room. Gary Nova, who finished 19/36, 202 yards, led Rutgers down the field in a unlikely drive. The drive stalled at the 25 yard line and it appeared that Rutgers would kick a field goal. Instead, Kyle Flood’s offense capitalized on a confused Louisville defense and Nova connected with TE Tyler Kroft on a 20 yard touchdown. Louisville never fully regained momentum and ended their final drive of the half with an interception QB Teddy Bridgewater who still, despite a game he described as ‘off’, finished with 320 passing yards. In the second half, the Cardinals never looked quite as dominant and did essentially just enough to win the game. A late 6 yard touchdown grab by Eli Rogers effectively ended any upset bid. It wasn’t enough. It’s a sad reality. But it is, indeed, the reality. Instead now, Louisville can focus on the AAC. Instead now, Louisville doesn’t have to worry about scoring 100 points on each of it’s opponents. Instead now, Louisville just needs to worry about winning. There is nothing wrong with that. The Louisville Football program is on an upward trajectory to somewhere out of this stratosphere, and an undefeated season will be just another great accolade to add to Louisville Football resume. Let the parades of people bare down on Louisville Football proclaiming things like: ‘They’re overrated’, ‘They are who we thought they were’. No longer does a public perception of the Cardinals matter anymore. No longer does a simple number attached to their name matter anymore. Let those same folks who told us Louisville had no shot against Florida in the Sugar Bowl be wrong again when Louisville wins another BCS Bowl. 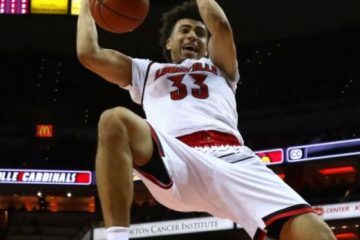 The elusive time that has been a variable against Louisville’s National Championship hopes will continue to be a variable for now, but that’s just fine, the hourglass is much more thin.